KUWAIT CITY, April 10 (Xinhua) -- In the southern desert of Kuwait, the Kuwait New Refinery Project (NRP), launched with the help of China Petrochemical Corporation (Sinopec), is under construction with an aim to increase oil processing capacity of the Arab country. Sinopec Fifth Construction Company is NRP's sub-contractor. Once put into operation, the project will increase Kuwait's oil processing capacity of 31.5 million tons of crude oil per year. According to the contract, the Chinese company is responsible for installation of six sets of oil-refining equipment for the NRP with contract value of 519 million U.S. dollars. Wang Zhiwei, project manager of Sinopec Fifth Construction Company, walks around the construction site every day, checking construction process and quality. He has spent nearly three years on this work since the project started in 2016. It is not just taking a walk. He needs to ask about construction details as every problem must be resolved in time. A circle of walk means at least six hours and more than 16,000 steps. In the summer of Kuwait, the temperature of the desert is as high as sixty degrees. During this period Wang's clothes are always soaked with sweat. Wang never complained about it, as the project is currently the largest refinery in the Middle East. "It does not only mean the future of Kuwait's oil production, it is a good opportunity to build a Chinese brand in Kuwait," Wang said. "We must use innovative concept, excellent quality and speed to make a model of 'Chinese wisdom' in Kuwait and the whole Middle East," he stressed. Kuwait is one of the first Arab countries to sign a cooperation agreement with China under the Belt and Road Initiative. In 2016, Sinopec Fifth Construction Company, adhering to the principle of "Chinese wisdom," undertook the NRP project. The main task of Chinese company is to install six sets of oil-refining equipment. It is considered as the contribution of the Chinese company to helping the Kuwaitis to achieve their development vision under the China-proposed Belt and Road Initiative. As a project manager, Wang managed the entire process of planning, designing, equipment purchasing, market evaluation, facilities building and equipment installation. 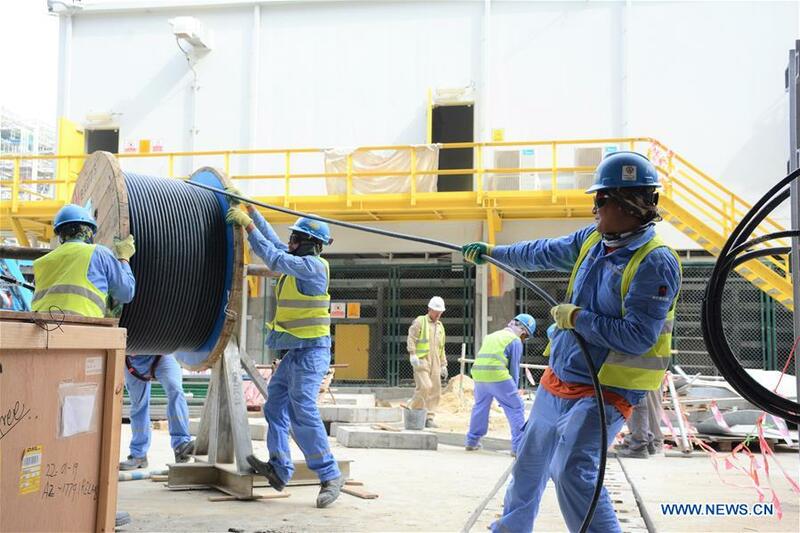 In the early stage of the project, in order to weld thick inner wall of the pipe, which costs lots of manpower, Wang adopted an innovative technology - "automatic welding process" to improve labor efficiency and accuracy and sped up construction process. Furthermore, this technology inspired the idea of Sinopec to develop intelligent "welding robot." Wang said that the "welding robot" has been tried on domestic projects after two years of research and development, hoping to use it for overseas projects as soon as possible. "Let foreigners admire the fact that we can not only do it, but also do it skillfully. This is the 'Chinese Wisdom'," Wang noted. Currently, Sinopec Fifth Construction Company is committed to building a Chinese brand on this project and demonstrating the quality and speed of Chinese Wisdom. To achieve this goal more than 6,000 Chinese and foreign employees of the company are working on the construction site almost 10 hours per day. Facing the complicated data processing involved in construction, procurement, operation and construction, Wang adopted new technology, building an information data sharing platform to reduce the repetition work. This innovation has become a model for other overseas projects of the company. According to the contract, the project will be completed at the end of 2019. Due to the high temperature in Kuwait, construction is prohibited in the daytime during the summer. As a result, many construction projects usually are postponed. Wang is confident that the project of Chinese company will be completed as scheduled. "We have developed a precise schedule for the project. As of today, the process of the project has reached 78.5 percent," he said. "Our project process is one year faster than those of foreign contractors who are responsible for the construction of other facilities here. Everyone will see the real Chinese speed," Wang said with a smile. "This is a century plan not only for Kuwait, but also for 'Chinese Wisdom'," he said.